Hi everyone! I've been nominated for a few tags and awards over the last couple months, but because of Nutcracker and introducing the new dolls it was a while before I could do them. So thanks to everyone who nominated me for being so patient! 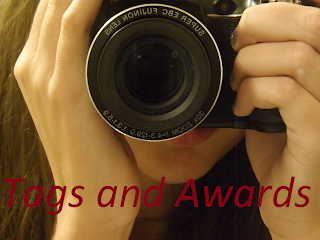 And thanks for the nominations too :) Just to let you know I'll also be trying to nominate certain tags/awards to people I haven't seen do them yet so that you all can do one you haven't before! Ok, shall we get started? 1. Link back and talk about your first 5 posts. OH!!!! This is when I introduced Kirsten to the family! I love her so much! She was my first Pleasant Company, and her story is actually true. I bought her from a missionary who had fixed her up, she sent Kirsten from Philadelphia, then Kirsten's story then just took off from there. (LOL I spent so much time making that header, probably longer than it took to take the pictures XD) My sweet little Molly, I was so excited about fall, and so was she! It was so fun taking pictures with the leaves since we don't get pretty fall leaves at my house. My mom helped drop leaves on Molly so I could get far enough to take the pictures, thanks mom! Kaitlyn from Kaits AG Crafts! Samantha from AG Doll Awesome! Madison from Delightful World of Dolls! Enjoy the tag everyone! I can't wait to see them! And here are some really random facts about myself! And this is where I keep most of my mini figs. I love the Lego movies and I'm OBSESSED with Lego movie quotes. The Lego Batman Movie is my favorite! 3. I love descriptive words, I think they're absolutely beautiful! For me, writing "Jennifer walked down the street" is not going to cut it. I would much rather write "Jennifer swiftly made her way down the street as the breeze blew softly through her hair." 4. I ask a lot of questions, especially in ballet class. I want to know how things work and why thing are, well, the way they are. 6. I would love to write fictional fantasy books someday! 7. I dress pretty casual, my favorite thing to wear is my dance school T-shirt and some leggings. Since I practice dance a lot it makes things so much easier. Just AG from Just AG! Rose from A Doll-op of AG! Have fun y'all! I can't to read your award posts! I was then nominated by Emma for the Unique Blogger Award! Thanks Emma! 1. What's your favorite part of blogging? 2. What's your favorite TV show? Answer: Hmmm, That's hard, I think I'll say Duck Dynasty. 3. What is the next doll you want? Natalie from The American Girl Spot! Kaylyn from The Diary of Two Dolls! Kiki from The Boho Girl! Olive from Hidden Hollow AG Crafts! Ginnie and Little Miss from Faking it Mostly! 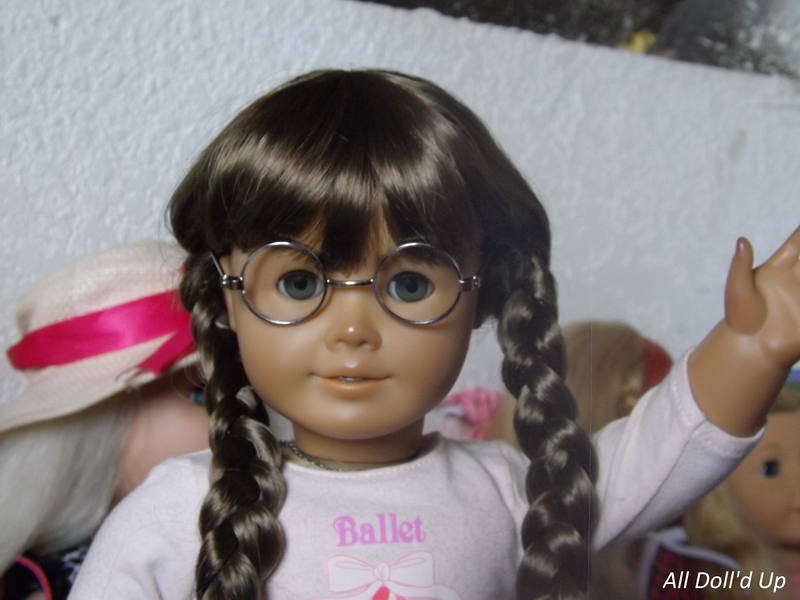 Maelyn from All American Girl! 1. Who's your favorite AG doll? 2. What post was the hardest to do? I hope you have an awesome time doing the tag! I can't wait to read your answers! AHHH!! I've wanted to do this one forever! Thank you again to AG Homeschooler who nominated me for this also! 1. Which fictional character would be most boring to meet in real life? Answer: Oh, That one's hard..... Pigpen from the Peanuts? 2. Who’s your favorite celebrity? Answer: I don't think I can pick just one! 3. What’s the worst commercial you’ve recently seen? Why is it so bad? Answer: I honestly don't watch a lot of regular TV, my family mostly watches DVDs. 4. What’s the most interesting thing you’ve read or seen this week? Answer: I was reading about Harriet Tubman, she was a slave in the 1840's I believe. One day she was hit by a iron weight and was in a coma for 6 months, in that time she had a vision from God. He told her she would be free, and she would help many of her people be free too. She later escaped and helped 300 slaves find freedom. 5. If you could switch two movie characters, which switch would lead to the weirdest movie? 6.What animal would be the cutest if scaled down to the size of a cat? Answer: I think a giraffe would be pretty darn cute! 7.What weird food combinations do you enjoy? Answer: I like mixing my corn and mashed potatoes together, pretty weird huh? My brother thinks it's so gross LOL! 8.What movie can you watch over and over without getting tired of? Answer: The Lego Batman Movie. 9.What’s the weirdest thing you’ve ever eaten? Answer: Birthday cake pie. You think about it and you're like "Why?" It's actually pretty good though. 10. Which TV show character would be the most fun to change places with for a week? 11. What’s the funniest actual name you’ve heard of someone having? Answer: I don't want to hurt anyone's feelings if they have the name I chose, so I'm going to skip this one. 1. I've been dancing since I was 5 years old. I'm currently on pointe which I've been doing for about a year and a half, and I'm also on flat. 2. I'm fascinated by comic book characters, Batman being my favorite to read about. 4. I'm the youngest in my family. 5. I run a doll restoration/knitting and crocheting business with my mom. 6. I'm far sighted and have a stigmatism, I wear purple glasses. 7. My mom is a doll collector too! 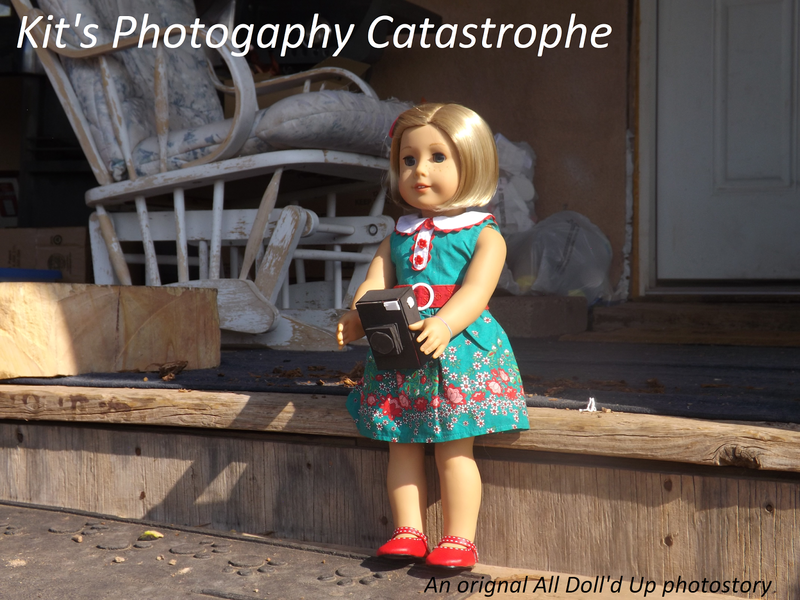 She has used dolls that for the most part were ones from thrift stores I fixed up for her. This Christmas she welcomed her first American Girl doll into her collection, Molly McIntire! No I'm joking, here's a picture to prove it. She's a Pleasant Company Molly with soft eyelashes. 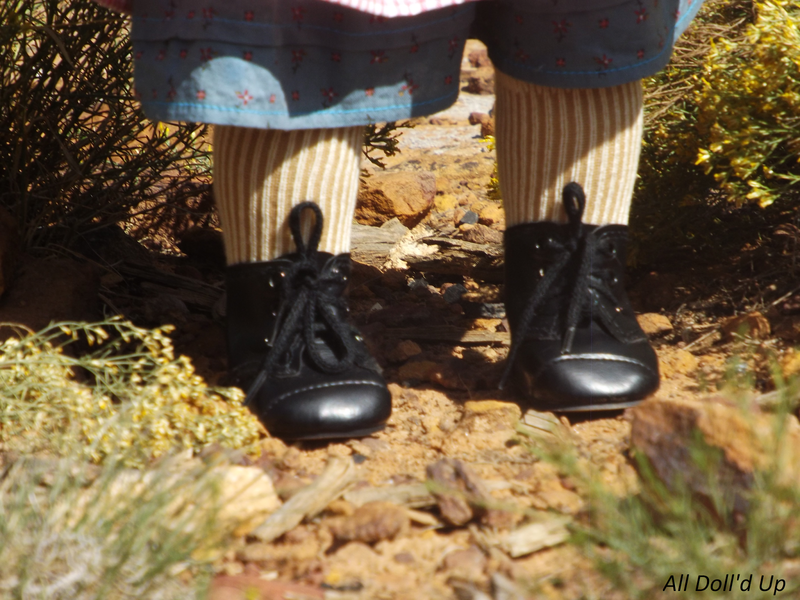 She'll be appearing on the blog every now and then as Jill so things don't get confusing. 8. Kit was my first American Girl doll I had ever bought at an AG store, and will be the last doll that I'll be buying new. 10. Avery was my first used AG doll, I got her on Ebay for $27 dollars because she had been attacked by a dog. The Human from Life of a Farm Doll! Haley, Emily, and Abbey from AG Doll Crazy! Julia from Love My Dollies! Anna From a Doll's Perspective! American Girl Crafter from Doll Days! Tess from Sliver Sky Dolls! 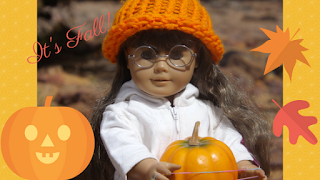 The PokaDotPatrot from American Girl Here and There! 1. 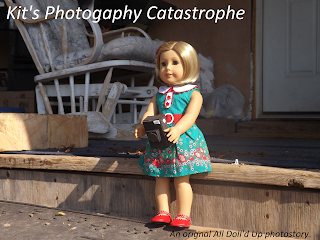 Have you ever bought a used doll/stuffie? 2.If you could have one super power, what would it be? 3. If you could chose a book to get shucked into and you had to finish the story to get out, what book would it be? 5. what would you rather do in front of people, sing or dance? 6. Do you have a favorite Star Wars movie? 7. Which one of your doll's/stuffie's character do you have the most fun with? 9. Do you have a pen pal/friend you talk to outside of blogging? 11. What do you want to be someday? 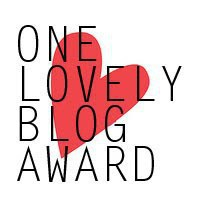 Congrats beautiful blogs! I hope you enjoy the award! Here's more of my randomness! 1. I know to re-wig, tighten limbs, remove scuffs, hot water dunk, remove stains, and remove scratches from American Girl dolls. 2. I also collect DC Super Hero Girls dolls. I currently have 8, Wonder Woman, Supergirl, Batgirl, Harley Quinn, Poison Ivy, Bumble Bee, Starfire, and Frost. 3. I've lived off the grid for 6 years. 5. I have medium length brown hair. 7. To me my biggest accomplishment was auditioning and making it into The Nutcracker Ballet at my dance school. AG Homeschooler from AG's Wondrous World! Hope from AG Doll Dreams! And last but not lest, Kaitlyn Tagged me for The Craft Tag! Thank you Kaitlyn! And here are the questions and answers! 1. Do you have a crafting area? Answer: Kinda, were had a craft room but my mom just got a job so it's more of her office. 2. What do you enjoy making for your dolls? Answer: Clothes! They are so fun to make, I like to sew them. 3.What’s your favorite crafting material? Answer: Oh, so hard....... Sewing? 5. 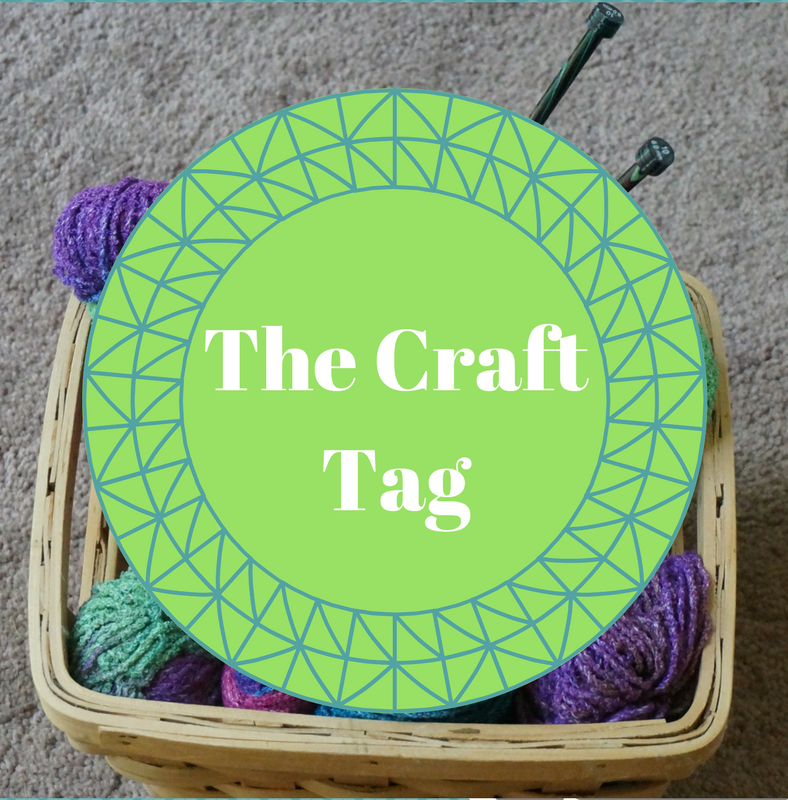 Where do you get your ideas for your crafts? Answer: Everywhere! LOL XD there's inspiration everywhere you look. 1. Would you rather sew doll clothes or buy them? 2. Hobby Lobby or Michaels? 3. 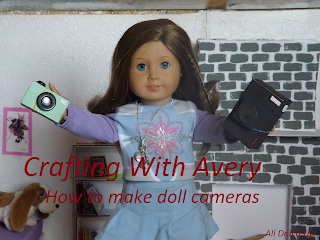 Which do you like to do better, making crafts for dolls or people? 4. Knitting, crocheting, or sewing? 5. What is one place you always go in craft stores? Well, that's all! Thank you so much for all the nominations and support guys! It really means a lot :) Have an awesome day everyone! No problem :) thanks, I've very made a banner before, so I tried my best. Thank you for nominating me for it! Oh, and how do you get the award banner? Sorry about all the questions. Hi Katie! Nice Blog! And such cool answers! Have you herd of Winnie the horse gentler?? it's a book and I have a blog about it called crazy about Winnie. do you mind checking it out? thanks! P.S. thank you so much for following! No problem :) I hope you enjoy doing it!